BLUEBELL - (U. of MN) This is an old very hardy table or juice grape with excellent flavor. It also makes good jelly. Medium size clusters with big berries. Should not be planted in soil with a pH over 7. Nice to have at any vineyard for people enjoy by drinking the juice or just eating the fruit. SOMERSET SEEDLESS - (E.S.) The hardiest seedless table grape yet. This grape has good winter hardiness and vigor. Clusters are medium size with small berries. A very sweet and wonderful taste. A beautiful red-orange color when ripe. 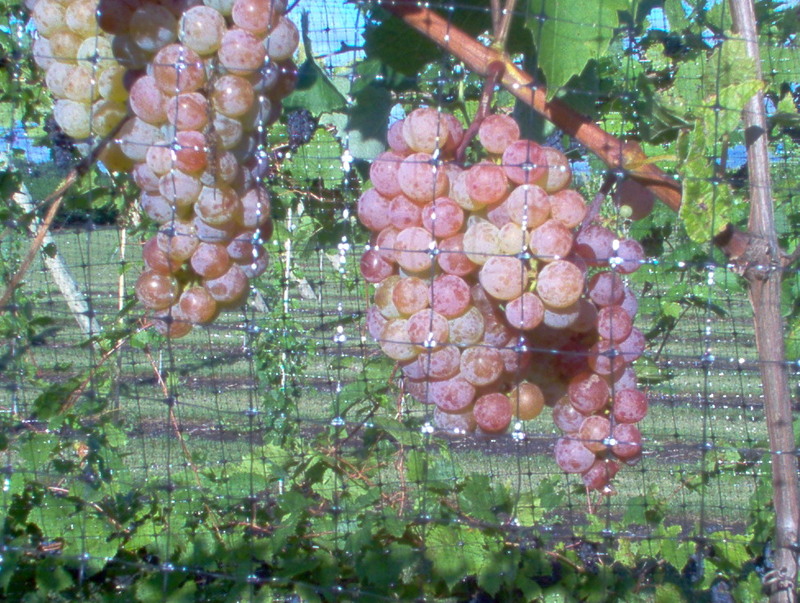 It has done well wherever it has been planted in Minnesota and is a must for all vineyards.